The dreaded day has come and now we muddle through the week. 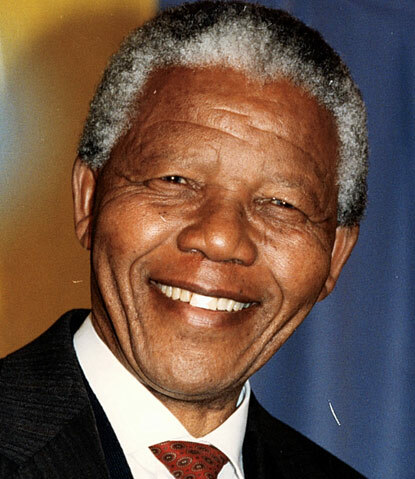 Nelson Mandela died almost quietly, there were no days of panic, or media scrambling on the basis of rumours. Instead it was only during his last hours that the rumour mill began its broadcast. Since then there has been one sleepless night chasing stories, and a long long day spent getting media accreditation for all up and coming events. Now tomorrow is the memorial, a day that will start at 4am and when it finally ends will take its place as one of those markers in our history. But for us journalists, in the bustle of grabbing a quote or snatching a piece of colour from this sad event, it is so easy to get lost from it all. To not see those flags hanging at half mast, or take a moment to stand back and remember the enormity of the man. History might remember him for saving possibly tens of thousands of South Africans through his efforts for a peaceful transition or sparking the movement towards democracy. To me what Nelson Mandela was is writing on a piece scrap paper he penned nearly half a century ago. Mandela rode that ideal right until Thursday night. This entry was posted in Media and tagged covering Mandela, journalism, Mandela, Nelson Mandela, Rivonia Trial. Bookmark the permalink.